If you thought billionaire Larry Ellison was going to scrimp on the next chapter of the historic Cal Neva casino resort, think again. The Oracle founder has told the Lake Tahoe Regional Planning Agency that the idea is to bring the Lake Tahoe property back to its former grandeur. 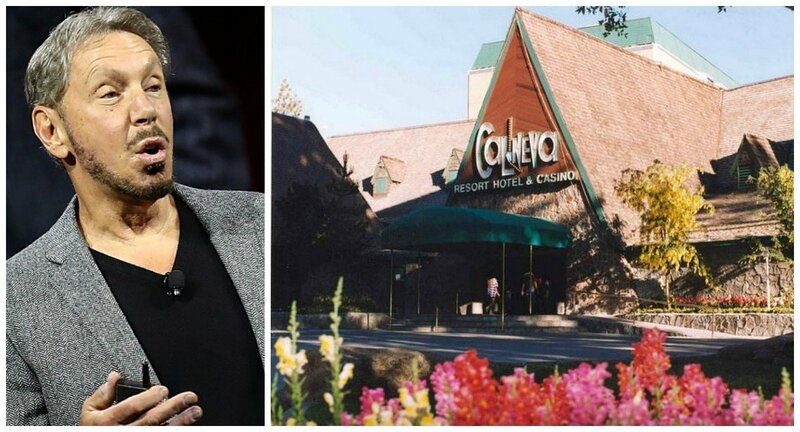 Lake Tahoe Regional Planning spokesman Tom Lotshaw said representatives from Ellison’s real estate firm have proposed renovating the 10-story hotel, demolishing the deteriorating single-level lodge, and adding a new two-story complex in its place to house a casino, spa, conference center, and several restaurants. This is just a great opportunity for a great, iconic site up on the north shore,” Lotshaw told ABC 8. 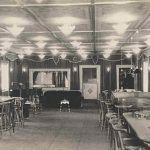 Famed for once being owned by Frank Sinatra and a Rat Pack hangout, Cal Neva has sat vacant since 2013 after a renovation fell into bankruptcy. Ellison acquired the resort in January for $35.8 million. Of the purchase price, $27 million will go to outstanding creditors. Cal Neva opened in the late 1920s, with the current main lodge being built in 1937 following an arson. The casino became well-known after the Kennedy family made it a favorite summer vacation spot in the 1950s. Sinatra became a part-owner in 1960, two years before Marilyn Monroe would spend her final weekend alive at the resort. Sinatra purchased the property with fellow celebrity Dean Martin, but also known Chicago mobster Sam Giancana. The list of stars who frequented Cal Neva was a who’s who of Hollywood and Las Vegas. But Sinatra’s relationship with Giancana led to the feds keeping tabs on the casino resort. The Nevada Gaming Control Board suspended Ol’ Blue Eyes’ gaming license in 1963, and he later sold. Ellison’s ownership tenure continues Cal Neva’s star-studded history. The 10th richest person in the world with a fortune worth nearly $60 billion, Cal Neva will be the software tech magnate’s first foray into the gaming industry. 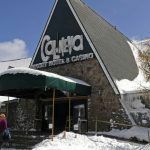 The Lake Tahoe Regional Planning Agency said in a review of the site plans that the reimagination of Cal Neva would attract new visitors to Lake Tahoe’s North Shore. “The project is expected to bring significant environmental and economic benefits to the region,” the agency stated. 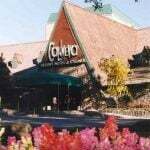 Cal Neva became a world-renowned gaming and entertainment establishment” under Sinatra’s ownership, the report continued. The Nevada Gaming Control Board reports that there are just three casinos in the Washoe County North Shore area. They include the Grand Lodge, Crystal Bay, and Tahoe Biltmore. Combined, the properties offer about 750 slot machines, and 40 tables games. Over the last 12 months, gross gaming revenue in the North Shore totaled a little more than $26.5 million. 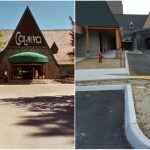 I hope the calneva Tahoe will reopen in 2019 I miss it ! Let me know on progress on reopening.